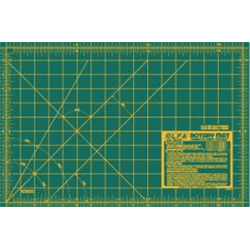 12" x 18" green self-healing professional quality rotary mat especially designed for use with OLFA rotary cutters. 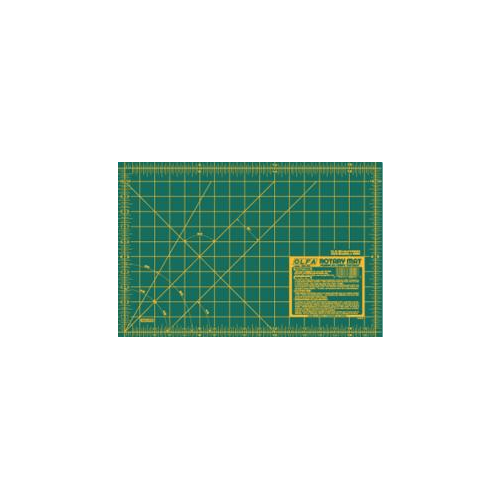 Double-sided with yellow grid lines on one side for precision cutting, solid on opposite for general cutting. Rotary mats protect your work area and greatly extend the life of your rotary blades. 1.5mm thick for a variety of applications. Store flat.